The IPOs of Thyrocare, TeamLease, Ujjivan Finance, Alkem Labs and Dr Lal Pathlabs were subscribed 73, 66, 41, 33 and 21 times respectively. Year 2016 has seen a flurry of initial public offerings (IPO) come out and many have met with resounding response from investors. The IPOs of Thyrocare, TeamLease, Ujjivan Finance, Alkem Labs and Dr Lal Pathlabs were subscribed 73, 66, 41, 33 and 21 times respectively. The other four to have to hit the market - Equitas, Quick Heal, Narayana Hrudalaya and Healthcare Global -- too witnessed subscription ranging from 2 to 17 times. In all the nine IPOs were bid at Rs 1.84 lakh crore while the total issue size was a mere Rs 7,162 crore. Explaining the interest, Prithvi Haldea, MD of Prime Database, says most of the companies that have hit markets so far were "niche stories" and that only good quality, PE/VC-backed companies have made it to the fore. On the flip side, as many as 25 companies have obtained SEBI IPO approval but have not hit the markets, he pointed out. "This shows that demand does not exist for all companies." Below is the verbatim transcript of Prithvi Haldea’s interview with Ekta Batra & Anuj Singhal on CNBC-TV18. Ekta: If I read out the subscription figures it is extremely startling and surprising and pleasant on the upside. Thyrocare for example is the most at over 70 times. 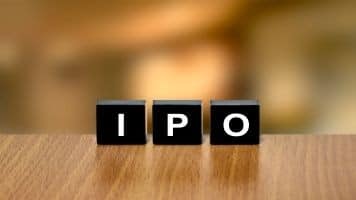 We had TeamLease Services at 66 times, Ujjivan Financial Services at 41 times, Alkem Laboratories at 31 times, Dr Lal PathLab 21 times, so the interest is tremendous in the IPO space. What is your sense on it? Is it because these are niches stories which have come and hit the market or this there are lot of interest in terms of even institutions at this point? A: You have already captured one of the key reasons why these IPOs are done so well which is these are new sectors, niche market. There are no peer group companies. There is a lot of discovery to take place. However, along with that we have to remember two things that the current IPO market is basically supporting only companies with a good track record. So, we don’t have any markets for Greenfield or new projects, or new ideas or half baked stories. So, these are all companies which have delivered good performance year on year over the last several years. Number two, almost all these companies have had a private equity (PE) or a venture capital (VC) investment into it prior to the IPO and that those PE and VC investors are not exiting fully at the time of IPO. Now this is a very important point because there is generally a belief that when there is a PE investor in a company there is a greater amount of due diligence in to that company. There is greater mentoring of those companies and therefore there is a comfort level of corporate governance also. The fact that they are not exiting at the time of the IPO gives you an indication that these investors see a much higher upside going forward. They are not trying to cash on the IPO market to exit. That credible stories, niche areas, PE- VC investors I think these are the three thing which are common to almost all the success stories that we have. Even in the near future, I would see only those kinds of stories hitting the market. A very interesting thing that we should remember is that as of this day, this moment, there has been almost 25 companies who are holding SEBI approval for almost six months, eight months, nine months, one year but they are not able to enter the market. SEBI approval is a last stage in an IPO preparation. A company which has obtained a SEBI approval is still not able to hit the market shows that the demand or the appetite for those kinds of stocks or the valuations that they are seeking is not just there. So, they are just holding on to those approvals and many of them are even allowing them to lapse. So, we have a very good healthy clean market as of now. How things will emerge going forward is a matter of guess work because we have seen in the past that when there is a huge amount of bull run in the secondary market, the IPO market also follows very closely. Then the four zones that I keep talking about good company good prices, good company bad price, bad company good price and bad company bad price these are the four IPO stages. So we are still in stage I good company good price and I think there is a huge amount of appetite for these kinds of companies. Anuj: That was my next question actually, we see that the first phase is always when the market is down, companies have to come out with lower prices and that they are lapped up. How is the pipeline looking at what point do you think will enter the phase two and phase three which would be the time at which the alarm bell should ring? A: Typically, two things have to happen. One is that the secondary market is no longer very volatile, it is on a secular bull run and number two IPOs which have happened start listing at a premium and then go upwards by the time. Now when these two things happen, the secondary market is in a bull run and the IPOs which are listing are giving handsome returns that is the time when more and more investors wake up to the IPO market. Therefore there is a greater demand and therefore good companies starts slightly aggressive pricing and they probably at a point of time reach a stage where they are pricing more to the market rather than a discount to the market. That phase I think we are still away from, but whether that can happen in next three months, six months that is anybodies call. Ekta: The interest hasn’t been that much in terms of the offer for sale (OFS) space? A: OFS, there are two things. I am fundamentally against the entire OFS method which has yielded very poor results. This have either led to calling off these offers for sale or depending upon Life Insurance Corporation of India (LIC) or other government institutions to bail them out. I think we have to scrap the present method and I am very happy that the government is already thinking of reviewing this and going back either to the IPP route, the institution placement program route or may be looking at other opportunities. As far as the retail is concerned in OFS, I have maintained that the 5 percent discount is two small in our volatile market. It can evaporate over one or two trading days. It is not enough incentive for an investor to come into an OFS. If he wants to buy that stock he may as well buy it from the market. So, I think either we do IPP or we go to a closed auction where institutional investors are asked to bid closely. Nobody else knows their price. I believe that there are institutional investors, long-term investors who would like to acquire huge quantities of some of these stocks at a price even greater than the market prices which they cannot do in case there were to execute those trades in the market. Number three, I have been suggesting that this is public wealth, let this be shared with public. We want to enlarge our market we want more retail investors, let these PSU offers be done at 10-15 percent discount. You will suddenly see millions of new investors coming to these companies because there are no big question marks about these companies. There is no credibility issues about this companies. The only important thing to get retail investors into this is the price and in case we can get our discounts right. Discounts are at a point of time are prices, we have seen prices of these PSU stocks fluctuate by 40-50 percent over a year. So, there is no sanctity of a price on a given day, surprise I mean at which you have to do an OFS. So, I think if we go forward and if we want retail to come in I think we have to look at a greater discount.